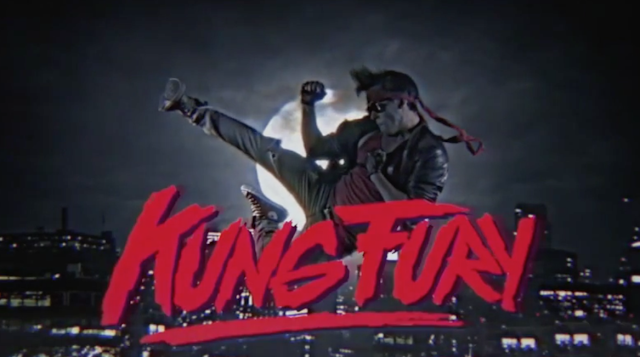 Last year, a two minute trailer for short movie project Kung Fury, a throw back to 80’s action movies of absolutely insane proportions, floated onto Kickstarter, and ended up taking the Internet by storm. So much so, the original $200,000 being asked for was soon surpassed and the budget ballooned to triple that, allowing Swedish writer/director/star David Sandberg’s imagination to go wild and crank up the craziness. But nothing can really prepare you for the lunacy of the finished, 30 minute product, which has already clocked up over 3 million views on Youtube since it appeared online twenty four hours ago, including time travel, Hitler (played by the Lonely Island’s Jorma Taccone), Thor, sentient arcade machines, a triceratops cop, and a closing song by David Hasselhoff.